The sandy beaches and historic red brick homes of Wilmington, North Carolina have been the setting for many a Hollywood production, but there's nothing make-believe about the powerful hurricane bearing down on the picturesque coastal city. Hurricane Florence, a powerful and dangerous storm described as the biggest to hit this part of the US East Coast in decades, could make landfall in the Carolinas late Thursday with devastating fury. 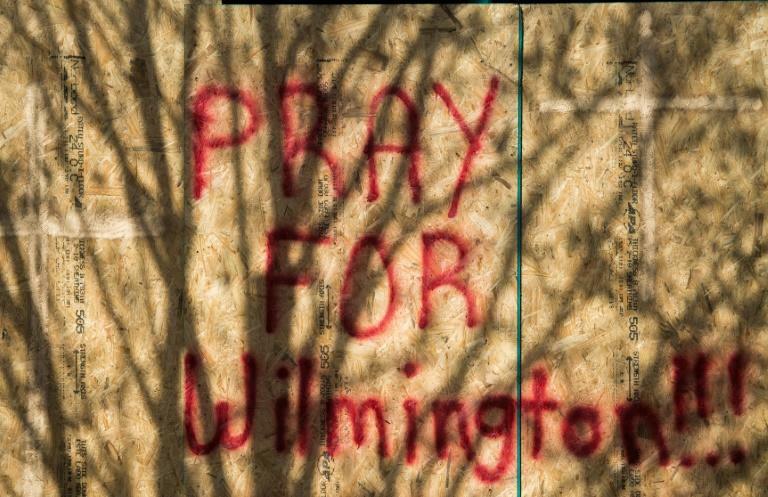 In its expected path is Wilmington -- a port city of roughly 120,000 that is sometimes called "Wilmywood" or "Hollywood East." It has served as the backdrop for dozens of films and television shows -- from action blockbuster "Iron Man 3," to charming TV teem drama "Dawson's Creek" to the eerie CBS series "Under the Dome." But these days, the only cameras around belong to news crews filming frantic people getting ready for the monster storm heading their way. People are boarding up homes and shops, supermarket shelves have been emptied by people grabbing all the essentials they can find, and gas stations have run out of fuel. "We stocked up on water and got the board games to keep the kids busy," said Ken Price. "It's just a waiting game now." 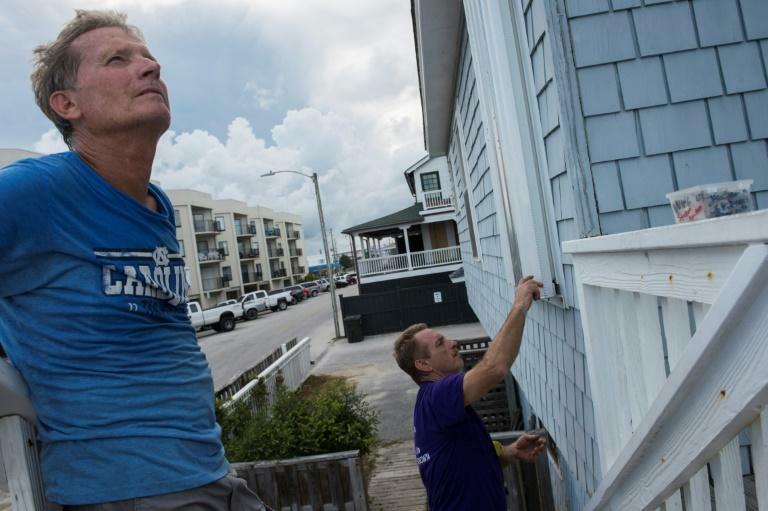 Retiree Ken Ripley -- who has owned a seaside home in Wrightsville Beach, part of the greater Wilmington area, for 15 years -- has seen his share of hurricanes. This time, he is heading inland for safer . "This one is by far the worst," he said as he placed sheet metal over the windows of his house. "It could take the roof off, but I hope it won't hurt" the overall structure of the house, Ripley added. "I'll be back down here a week after the hurricane. There should be a lot of fixing up to do." Others, like Josh Ledford, have no place to go other than emergency shelters set up in government buildings and elsewhere. "You know I don’t want to be here for as long as they are speculating that I’m probably going to have to be. Probably two, three days max," said Ledford outside a school hosting hurricane refugees. "But if need be, then I guess we’ll have to do it." Ryan Limpert, another resident of Wilmington, did not really want to come to the school, either. But he saw no choice but to settle in with others fleeing the coming storm. Some arrived with just blankets and pillows -- no other belongings. "There seems to be a lot of people here that want to help out, which I guess is a good thing," said Limpert. "I don't know, I’m keeping my head up." Roads leading out away from the area were jammed with cars. Highway 40 seemed to be open only for northbound traffic, away from Wilmywood. 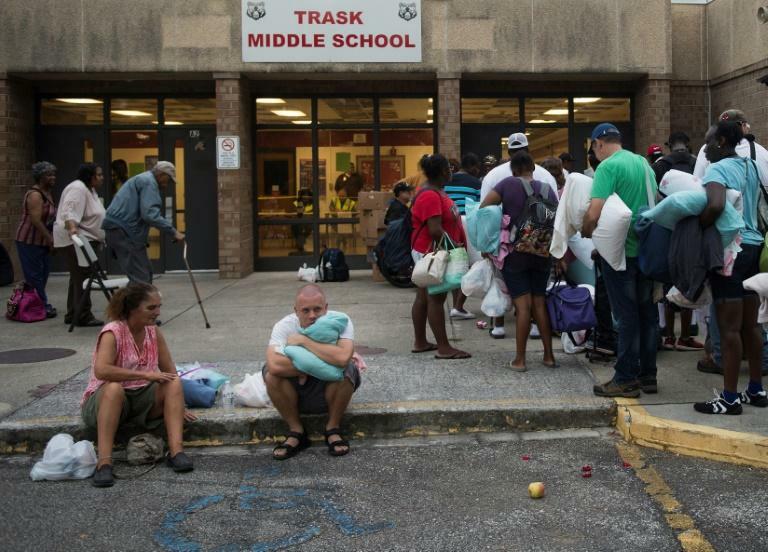 "Disaster is at the doorstep and is coming in," North Carolina Governor Roy Cooper said. "If you are on the coast, there is still time to get out safely. If you are not under an evacuation order, finish your preparations today."